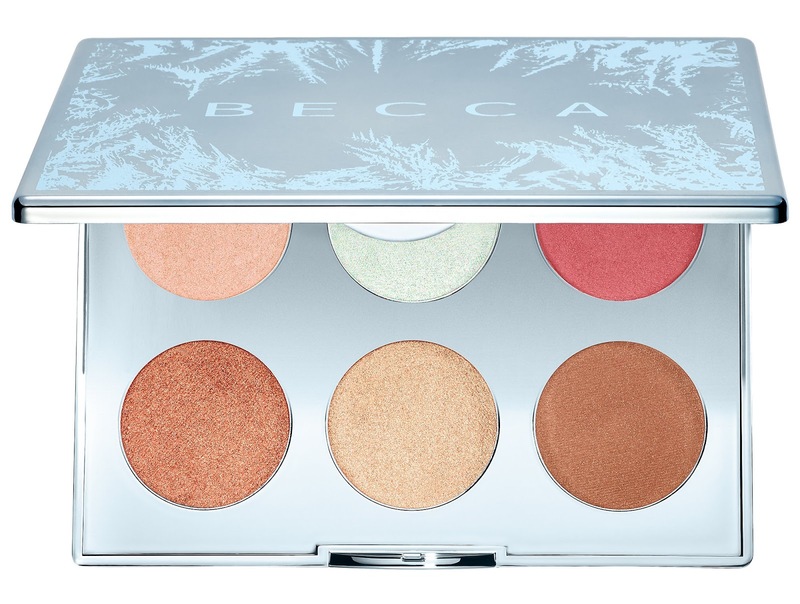 Becca Cosmetics has now launched their Holiday collection for the 2017! I will continue to update this post, as well as other holiday collections, throughout the season if new sets become available. 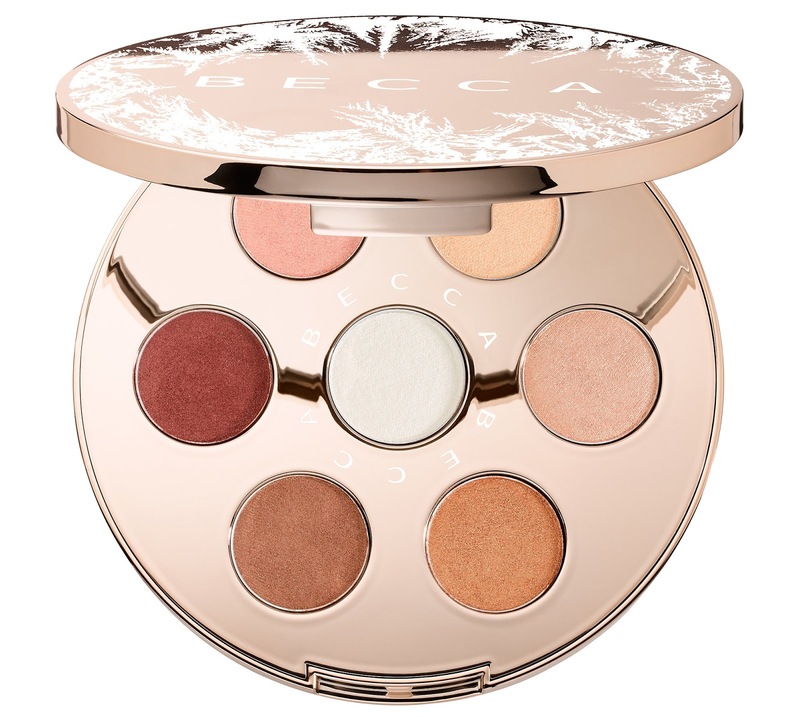 "A palette features seven shades and two luxe finishes: satin-matte and high-shine. Put your eyes in the spotlight with this limited-edition eyeshadow palette featuring the bestselling Shimmering Skin Perfector Highlighter formula customized specifically for the eyes. 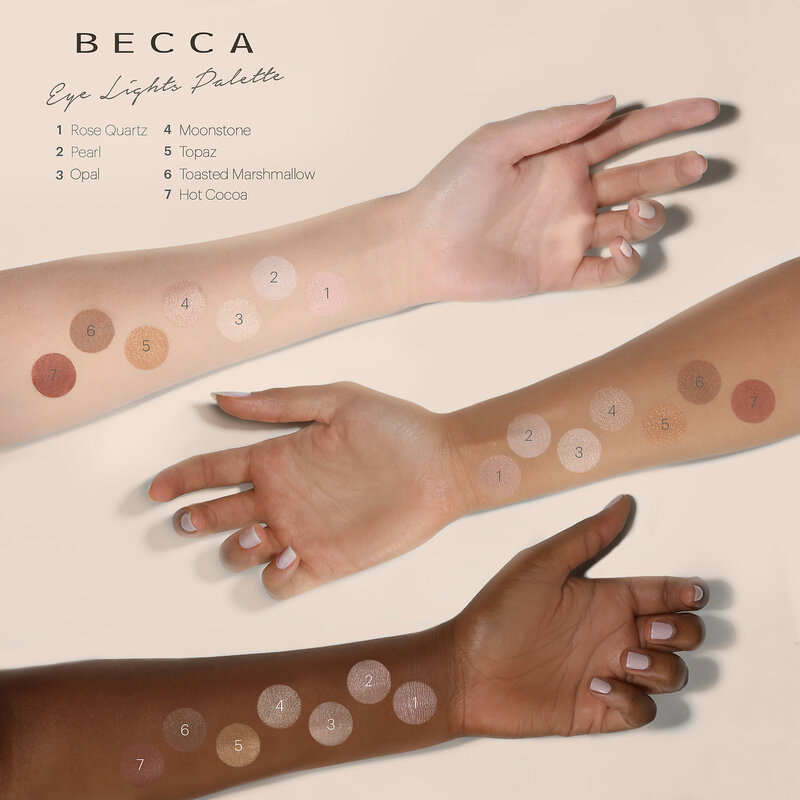 These exclusive pairings allow you to dial up or down the lights to create a customized light effect for all skin tones and eye colors." "From the slopes to the spotlight, this exclusive palette includes a new Shimmering Skin Perfector Pressed Highlighter in Icicle (a cool, icy prismatic frost with a tint of blue), and a new Mineral Blush in Winter Berry (the perfect natural rosy pink). 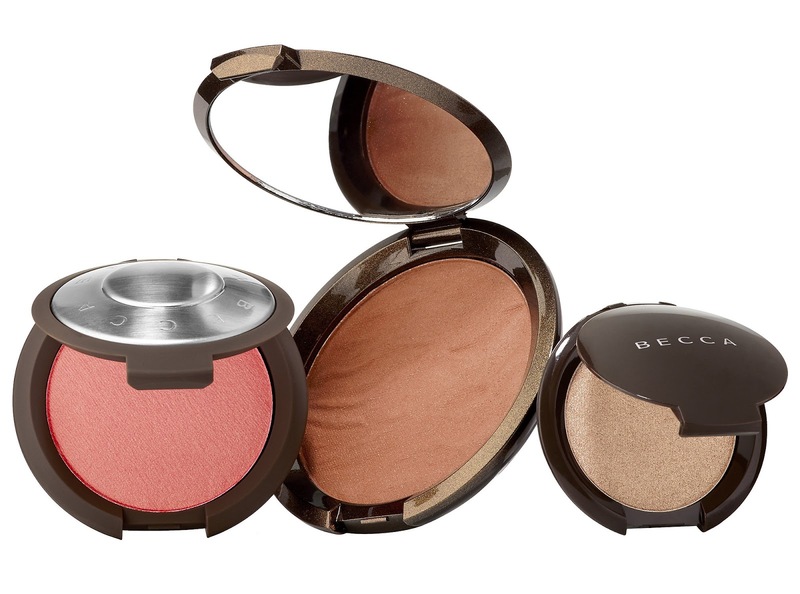 The limited-edition shades are paired with four of BECCA’s bestselling, iconic hues. The possibilities are endless. Go from a natural, fresh-from the-slopes glow to a sultry, ski bunny-bronzed highlight. $80 USD Value." 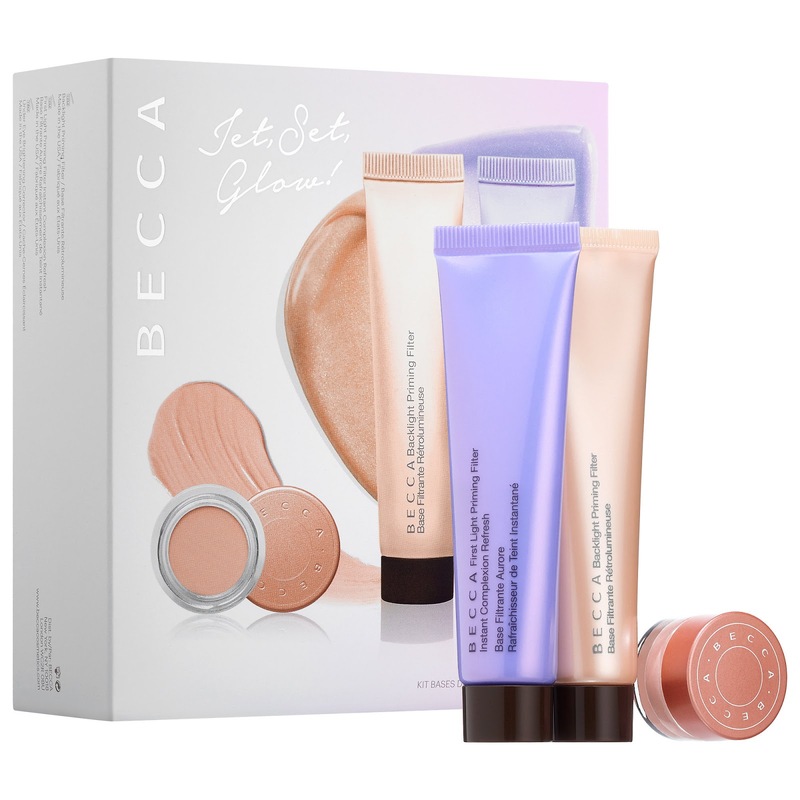 "A bestselling, creamy, highlighter powder to light up your best features with a high-shine finish. 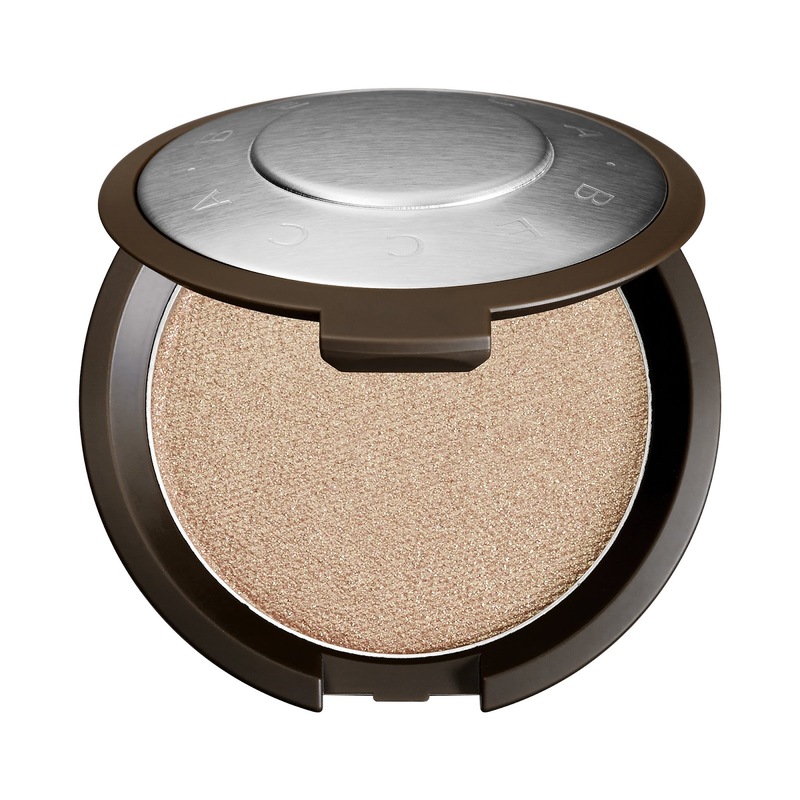 Like a spotlight for your skin, Shimmering Skin Perfector® Pressed Highlighter lights up your favorite features with high-impact, ultra-reflective shine. Inspired by the dazzling light of the midday sun, this iconic formula is enriched with ultra-fine, luminescent pearls that absorb, reflect, and refract light to amplify your natural radiance. 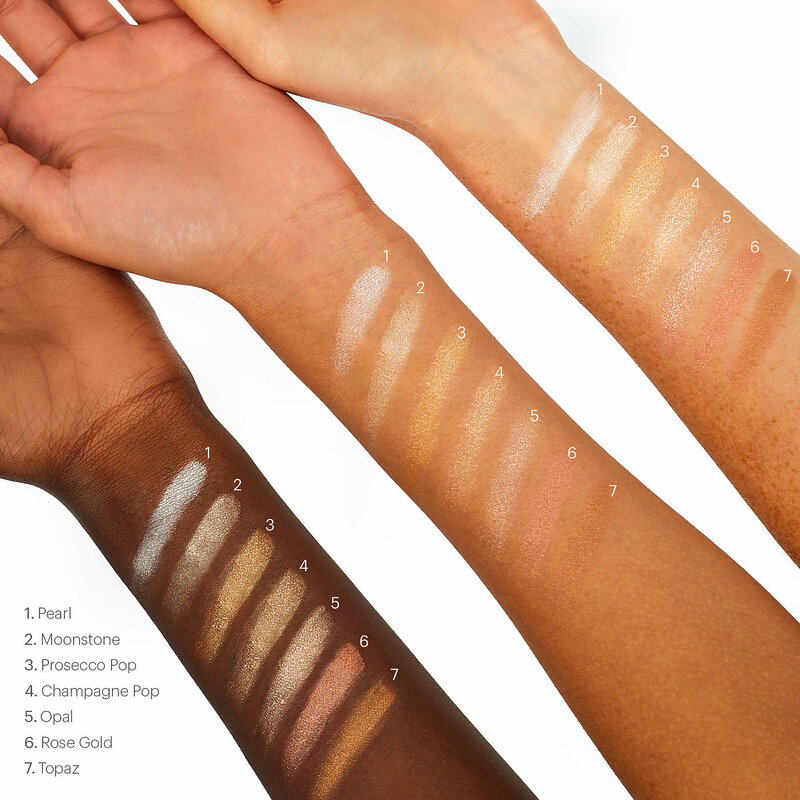 The multi-toned pigment pearls adjust to your skin’s natural undertones. Unlike traditional pressed powders, this unique formula blends pigments with liquids, to create an unparalleled, creamy feel that applies seamlessly for a silky finish that never cakes. The result: a high-shine, elegant finish that doesn’t look glittery." 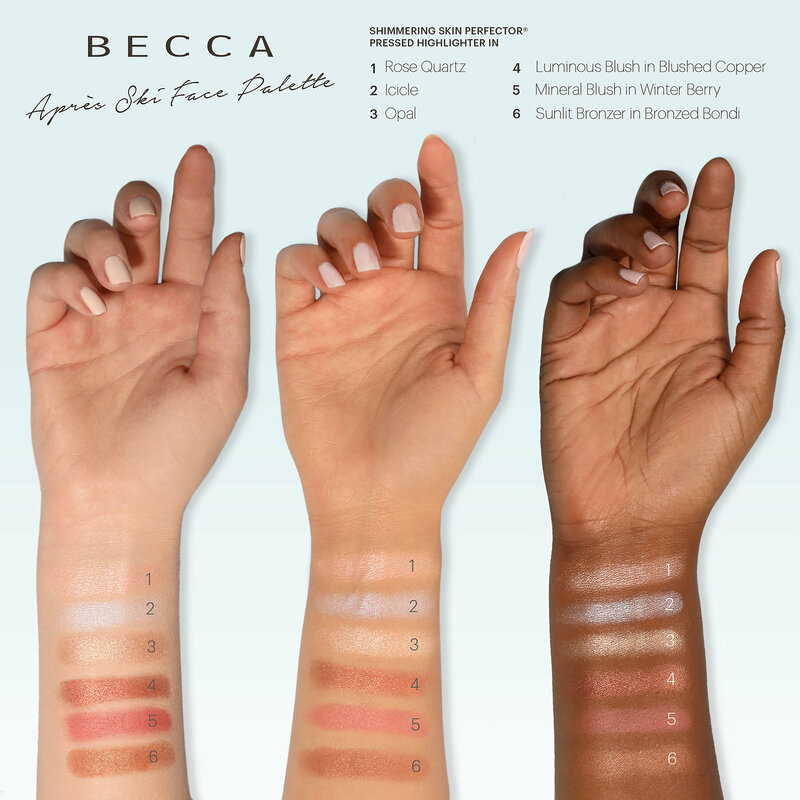 "Let your features shine with Shimmering Skin Perfector® Spotlight Liquid Highlighter wand and Shimmering Skin Perfector® Pressed Highlighter in BECCA’s bestselling shades. Perfect to create a range of looks, these travel friendly versions of the bestselling luminizer allow for targeted highlighting, touchups, and the ability to achieve a natural glow wherever you go. 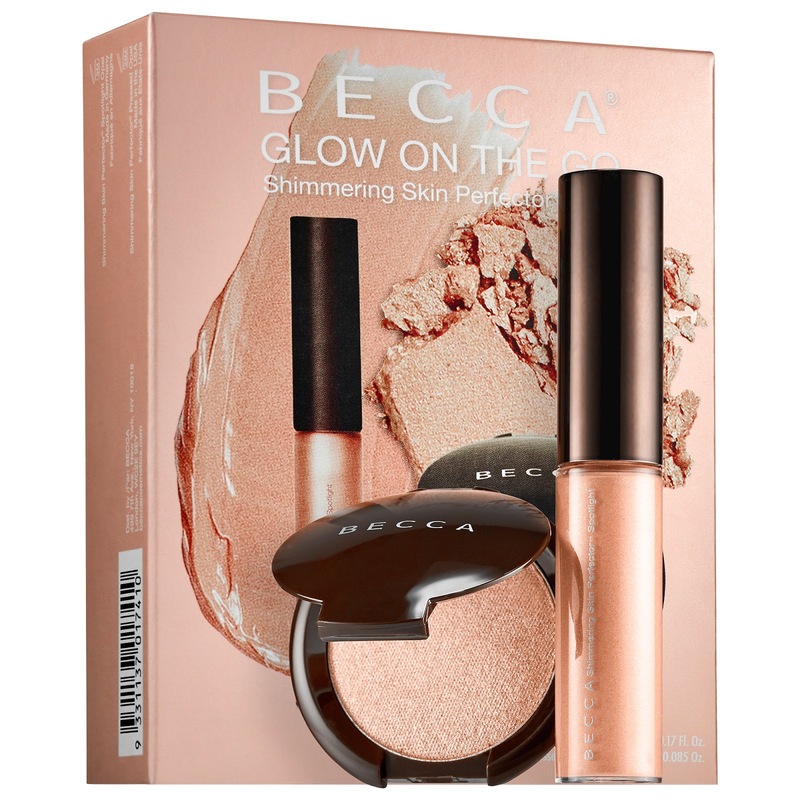 Define and highlight with portable Shimmering Skin Perfector® Liquid Highlighter Spotlight wand— this formula features ultra-fine light-reflecting pearls that melt into your skin for polished, natural-looking radiance. Use it as the perfect mixer to your favorite primer, foundation, or moisturizer for added radiance. Achieve an all-over dewy glow by applying it evenly on your face, or wear it on the high points of the complexion, such as cheekbones and down the bridge of the nose. Shimmering Skin Perfector® Pressed Highlighter lights up your favorite features with high-impact, ultra-reflective shine. Inspired by the dazzling light of the midday sun, this iconic formula is enriched with ultra-fine, luminescent pearls that absorb, reflect, and refract light to amplify your natural radiance. The multi-toned pigment pearls adjust to your skin’s natural undertones. Unlike traditional pressed powders, this unique formula blends pigments with liquids, to create an unparalleled, creamy feel that applies seamlessly for a silky finish that never cakes. $34 USD Value." "Backlight Priming Filter is a radiance-boosting primer that acts as an instant filter for the complexion. 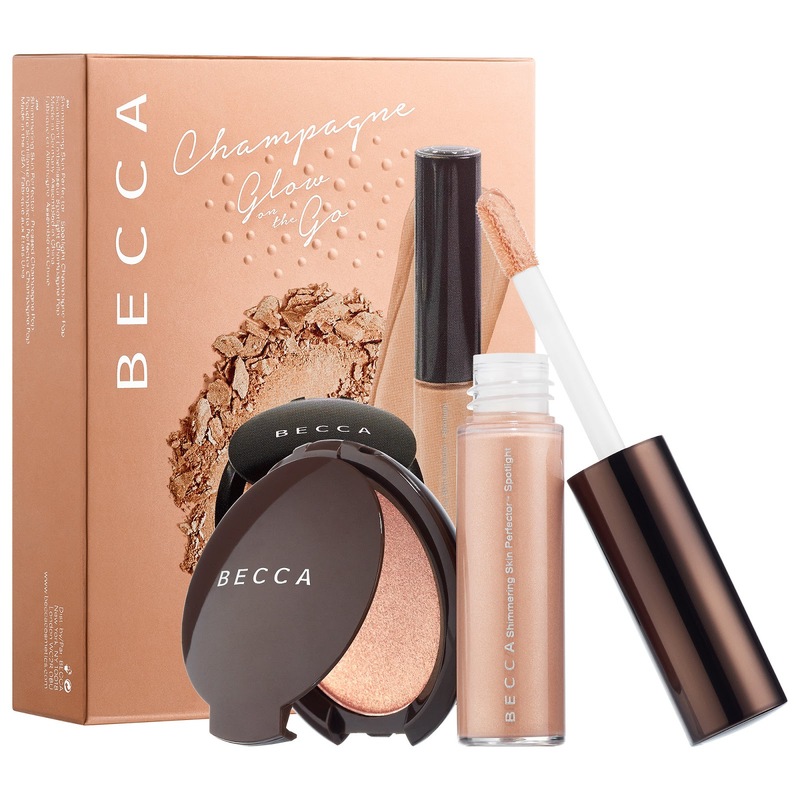 Infused with a blend of crushed pearls, it creates a perfect canvas for makeup with a diffused, radiant glow. First Light Priming Filter is a wakeup call that instantly brightens lackluster, dull skin to refresh the complexion. It creates a hydrated and healthy glowing canvas for all-day makeup wear. Under Eye Brightening Corrector is like sleep in a jar. This full-coverage créme corrector brightens and eradicates under-eye darkness. Infused with ultra-fine light reflecting illuminators, it gives you an instant well-rested look. $30 USD / $66 CAD Value." "Effortlessly sweep the full-size Sunlit Bronzer in Bronzed Bondi on skin to impart healthy-looking warmth for a sunkissed complexion. Then layer the full-size Luminous Blush in Snapdragon, a beautiful coral shade, to create a subtle, shimmering flush. Top your look with our iconic Shimmering Skin Perfector® Pressed Highlighter in Opal to let your favorite features beam bright. $100 USD Value."